The comment got me thinking about all of the qualities funeral professionals like you bring to your role in supporting families and providing funeral services that will help them remember and honor their loved ones. 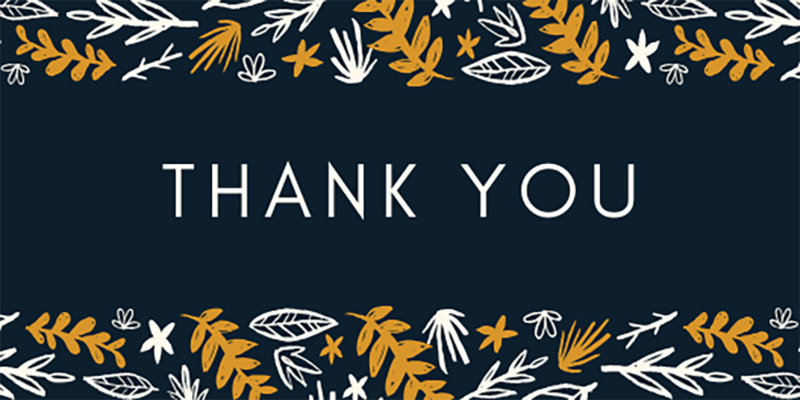 During this season, I hope you’ll take time to re-read “thank you” notes from families and reflect on these traits (and the many others) that make us grateful for you and the important work you do. Earlier this fall, Bridget McCarthy published an essay that was widely shared and discussed within the funeral profession. In it, she beautifully shared what many of us who are connected with funeral service already know: funeral professionals possess incredible compassion for people who need them during their most difficult times. As an extension of your compassion, funeral professionals want to help families create healing experiences that truly reflect the lives of their loved ones. Notable examples of this creativity frequently make the news – a Star Wars funeral for an avid fan of the franchise, for example, or a racing themed funeral to honor a boy who loved NASCAR. Highly personalized memorialization ideas are indeed extraordinary – and funeral professionals incorporate them every day to meet your clients’ needs. You know the right questions to ask to help families discover what they really want from their funeral experience. Any discussions about death, memorialization and grief can bring very different reactions from different people, and funeral professionals encounter them all. You are perceptive about what you can do to help client families, something that is especially important when the people you’re serving aren’t able to clearly express their needs under the difficult circumstances. I’ve heard many funeral professionals share that they want clients to feel like they are part of the firm’s extended family. Of course, family dynamics can be extremely complicated – which is another reason why funeral professionals’ perceptiveness serves you so well. You’re able to navigate many (sometimes conflicting) opinions and reactions to help memorialize the family’s loved one in a way that’s meaningful for all of them. The circumstances under which funeral professionals work never cease to amaze me. The logistics alone – planning a custom event that is designed to meet the varying needs of many, many people within an extremely short timeframe – are truly astonishing. It’s an amazing feat to accomplish this even when everything goes according to plan – which, I imagine, is rare given the many factors outside of your control. That’s why I’m always impressed by stories of the resourceful solutions that funeral professionals find to ensure their client families have the best possible experiences. When helping families through the loss of a loved one, funeral professionals put the needs of others ahead of themselves. While it is rewarding, this work can also be incredibly challenging – and funeral professionals often exhibit tremendous fortitude during the toughest times. Because we understand the challenges of funeral service and care deeply about the wellbeing of funeral professionals, we’re proud to offer Finding Resilience – a program presented in partnership with Dr. Jason Troyer. You can learn more about these resources, which are designed to help prevent burnout and reduce career fatigue, on our website.